Taiwan’s Public Prosecutor has indicted the wife of President Chen Shui-bien for embezzling public funds. Chen, as a sitting president, cannot be indicted even though the prosecutor says that he has evidence to prove his guilt. But Chen’s legacy was already in tatters. Chen can remain in office until his term ends in 2008, or he could resign now in order to let his vice president and pro-independence Democratic Progressive Party (DPP) rebuild to win the next election. Whatever his decision, Taiwan’s first DPP president will go down in history as a pathetic failure, because he used his office to divide the island’s citizens, as if his domestic political opponents were Taiwan’s mortal enemies. The root of Chen’s moral demise is something the classical Greeks identified: hubris. Chen’s popularity among his party followers, whose fervency often bordered on fundamentalism, changed him from a person with deep democratic instincts into a textbook case of a man who regards power and its prerogatives as being his by right. Chen once had political courage. Jailed years ago for his anti-Kuomintang (KMT) activities, he stood up at great odds to the Chinese Communist Party, which sought in vain to subjugate him in cross-Strait relations and in global politics. The world has largely deserted Taiwan and its 23 million people – the only democracy among 1.2 billion Chinese. Only 24 countries, mostly tiny island states, maintain diplomatic relations, while all but one of the world’s major powers and all important international institutions, including the United Nations, dance to the mainland’s tune on the issue. But Chen’s behavior did not help. Indeed, he even angered the United States, Taiwan’s only military protector, by his frequent confrontational tactics, such as pushing Taiwan towards independence, which runs counter to America’s longstanding “One-China” policy. After winning the presidency, Chen could have risen above theatrics by focusing on two Taiwanese strengths: its economy and its unbroken humanist Chinese cultural tradition. Instead, Chen balked at further integration into the global economy, refusing to open all of Taiwan’s economic sectors to foreign participation, which would have strengthened Taiwan’s competitiveness and efficiency. For years, forward looking Taiwanese industrialists, including many hi-tech entrepreneurs, urged Chen to de-bureaucratize and de-politicize Taiwan’s increasingly isolated economy. Failing to persuade him, they decamped to mainland China. Unwisely, Chen went out of his way to shut out mainland Chinese capital and to retain barriers to other foreign investors in order to protect the domestic businesses of his political allies. Indeed, indicators of economic freedom and competitiveness compiled by the Heritage Foundation, the Cato Institute, the World Economic Forum, and others show that Taiwan’s relative ranking has stagnated or even declined on Chen’s watch. This stands in sharp contrast to the communist mainland, which has reinvented itself to become one of world’s more open, competitive, and dynamic economies. As a result, big international corporations and Wall Street banks now flock to China, bypassing Taiwan. They do so not because Taiwan is small – witness Hong Kong and Switzerland – but because it retains too many restrictions against foreign institutions. Taiwan’s missed opportunity reflects its government’s sheer incompetence, arrogance, and ignorance. Chen squandered six valuable years as his administration engaged mainly in polemics with its opposition parties while he pandered to the extreme wing of the DPP and mobilized his government to “de-Sinicize” Taiwan culture. Indeed, Chen even argued that the Taiwanese were never Chinese. He ordered the Education Ministry to revise school textbooks to promote the idea that the Taiwanese people were fundamentally different, practically a different race from the Chinese. Clearly, Chen’s hatred of dictatorship, whether Communist or KMT, consumed him, limiting his ability to think clearly. In fact, Taiwan’s moral superiority over mainland China lies not only in its democratic institutions, but also in its unbroken adherence to the ancient culture that the Chinese communists nearly succeeded in annihilating after coming to power in 1949. Ironically, it is China’s rulers who are now scrambling to resurrect Confucius as a moral anchor in a culture dominated by the pursuit of money. Chen should have celebrated Taiwan’s “Chineseness” proudly and loudly, thereby distinguishing the island from the barbaric legacy of the Chinese Communist Party. Instead, Chen’s futile effort to “de-Sinicize” Taiwan created a wastefully divisive contentious society, pitting “mainlanders” and “locals” against each other. Chen’s record suggests he will hang on to his failed presidency. He will use his legal training to fight on technicalities. But to the rest of the world, Chen has been revealed as a petty liar over a pitiful amount of money. He and his wife lied about their involvement. Their close aides have confessed that they forged documents and perjured themselves to protect their political boss. What a pathetic ending for a man who could have become one of the most important leaders in modern Chinese history. 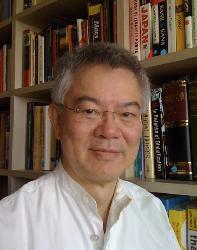 Sin-ming Shaw is a visiting scholar at the East Asian Studies Department, Princeton University. Give This Guy a Break! Chinese premier Zhu Rongji once called Chen Shui-bian's presidency a "joke." Outside China, conventional wisdom increasingly seems to agree. Since Chen's election in March, Taiwan's stock market has plunged by more than 30%, a slide that pundits say represents a vote of "no confidence" in the President's abilities. Chen's approval rating, meanwhile, has fallen to less than 40%, from a high of 77%. His Premier, Tang Fei, resigned after less than half a year in office. Chen is taking heat for everything. The economy is in the doldrums. A banking crisis is looming as problem loans pile up. The delicate relationship with Beijing has stalled, and no one can control the Vice President, Annette Lu, who pokes China in the eye at every opportunity. (In an official report, Beijing recently called the Taiwan situation "grim.") All of this adds up to a sense that Chen has squandered the promise of his election, an opinion shared, apparently, by his close adviser, Lee Yuan-tseh. A Nobel laureate, Lee said recently that the President "talked too much without giving the people a clear direction where he was going." So is Chen toast? Is his presidency a disaster? Not at all. The slump in Taiwan stocks has more to do with global worries over the declining earnings of semiconductor companies than with Chen. Taiwan's stock-market index is packed with technology stocks; so is NASDAQ in the U.S., which has also dramatically declined since March. The market is simply saying that if Silicon Valley isn't doing well, neither should Taiwan's tech stocks. On the political front, it's true that Chen's minority Democratic Progressive Party (DPP) has been slow to get up to speed. One reason for that is the Kuomintang (KMT), the DPP's rival, which dominates the legislature and has tended to put partisan interests above those of the nation. But the DPP's emergence as Taiwan's ruling party has already helped heal the most divisive social and political wound on the island: the rift between Fujian-dialect-speaking locals and the Mandarin-speaking mainlanders who have dominated local politics for a half-century. The topic of schism is no longer in prominent in public discourse. As for the economy, Taiwan does indeed face serious problems. But Chen hasn't been idle. In a departure from past KMT policies, Chen is promoting bank mergers to help shore up the weakest institutions. And he says he will lift many restrictions on foreign banks wishing to compete in Taiwan. Although capital is still over-regulated, the question is no longer whether financial reforms will come, but when and to what degree. Chen is waffling on some economic issues. But his hesitance is often understandable. Taiwan, like many other places, is grappling with a dual economy: one part is old, inward-looking and inefficient; the other is new, know-ledge-intensive and globally competitive. By letting the New Taiwan dollar find its own, lower level and by lifting regulations governing capital flows to China, Chen could encourage Old Economy companies to revive themselves by relocating to the mainland. But China isn't making it easy. Beijing recently said it would take stock of the political views of potential investors from Taiwan, particularly their level of support for Chen's DPP. The threat was later quietly dropped, but a sense of uncertainty had been sown. The reality is that both sides need each other. It is China, not Taiwan, that could face devastating unemployment after joining the World Trade Organization. Is Chen handling the cross-Strait relationship well? Beijing clearly does not think so. But by now, even the mainland's most stubborn hawks must know that war against Taiwan is a non-starter: it's impossible to define victory in any way that makes sense. Chen said recently he was proud to be a Chinese, a signal to Beijing that he is willing to be conciliatory. The communists, however, apparently want him to genuflect more unambiguously. China should know that putting a timetable on reunification is unwise as long as Taiwan's people are not ready for it. Chen knows his constituency better than Beijing and is calculating that he needs to proceed slowly. Chen can do better at his job, yes, but during his first six months in office he has not done badly. In the U.S., Bill Clinton didn't exactly light up the scoreboard in his first two years, but his performance improved considerably. Give Chen a chance. The conventional view about him is simply unfair.